A stabbing attack in a shopping street in Melbourne today has been confirmed as a terror incident. One person died at the scene, while two others were taken to hospital, police said. The attacker, who had been shot in the chest by police and was taken to hospital in a critical condition, has since died. 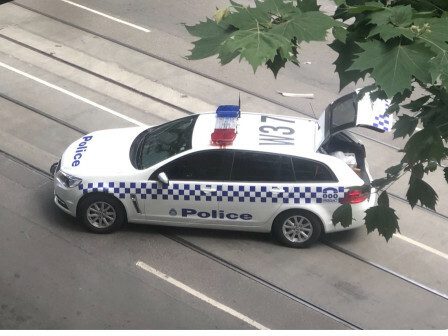 The attack happened in Melbourne's Central Business District, on the corner of Bourke and Swanston streets, just after 4pm local time. Witness reported the suspect crashed a car loaded with explosives outside the Target centre. The car burst into flames and the attacker got out and started to stab members of the public. Initally, police said they were keeping an open mind about the attack, but Victoria Police chief commissioner Graham Ashton later said: "We are now treating this as a terrorism event." According to reports, the attacker was known to counter-terrorism authorities at state and national level and had relatives who were 'persons of interest'. Police say the Somalia-born suspect had moved to Australia in the 1990s and lived in the north-western suburbs of Melbourne. Police have told people to stay away from Melbourne CBD, which will be closed until at least 8am local time on Saturday.